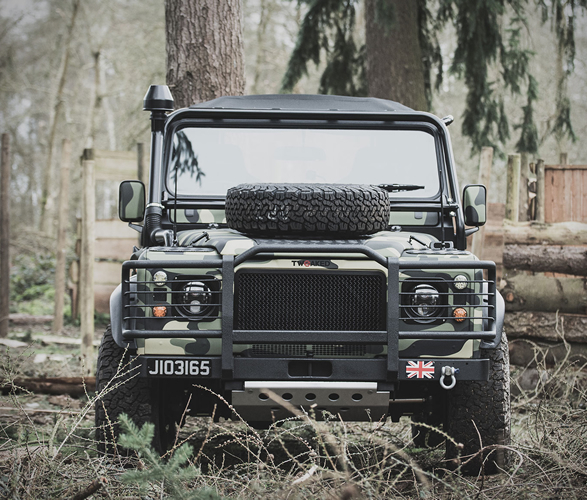 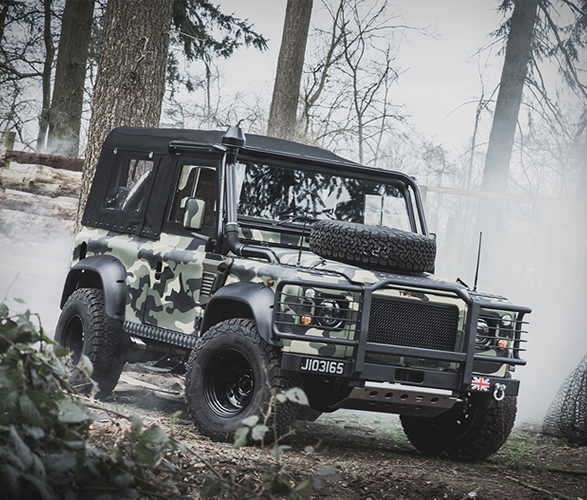 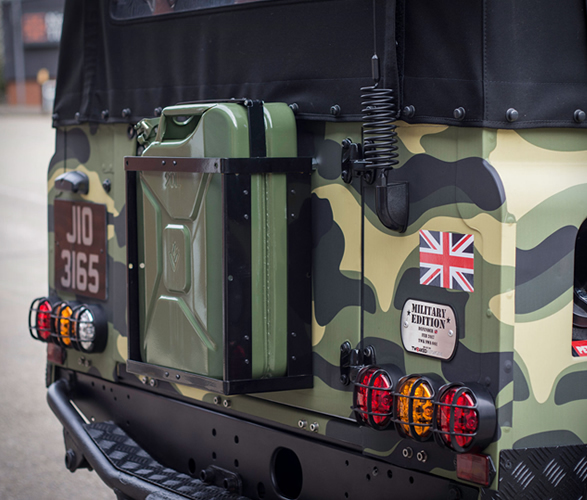 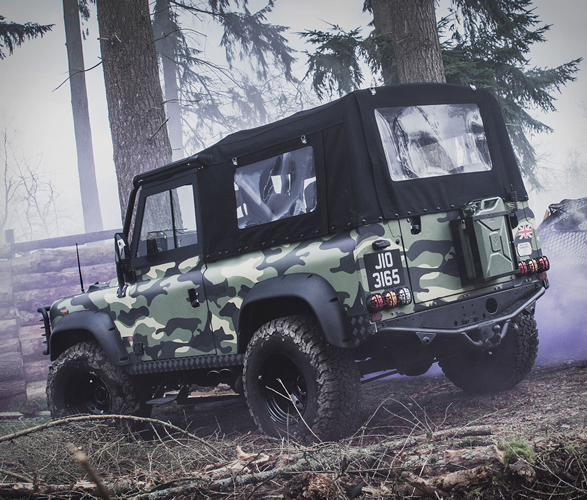 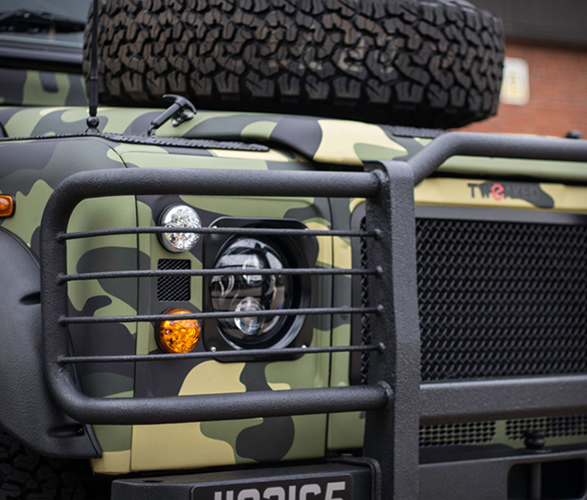 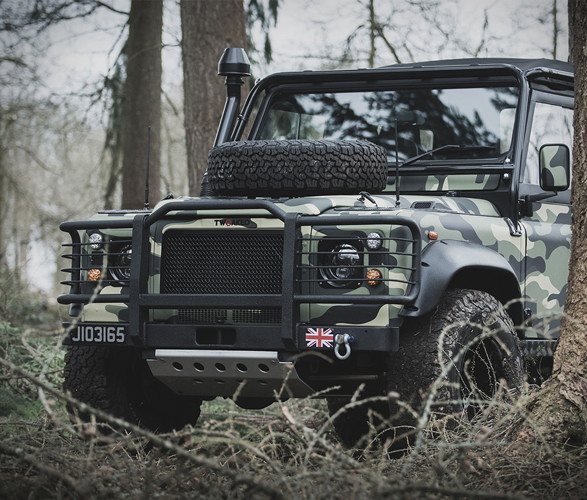 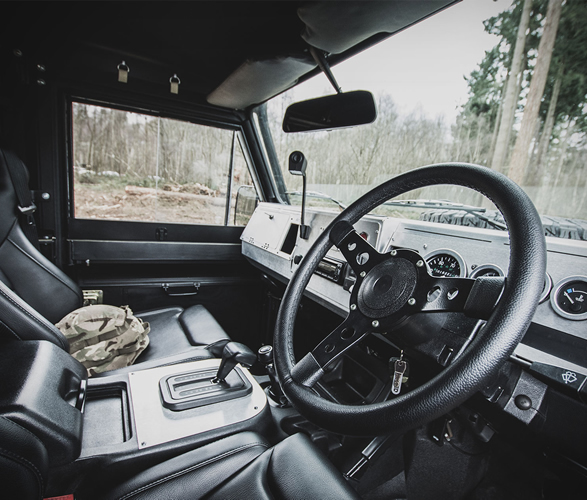 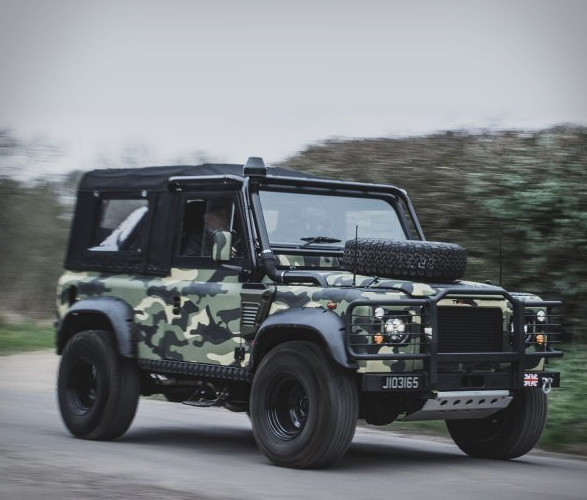 Created by the in-house team at Tweaked Automotive, a London-based car modifying company, and the same guys that built the beastly Land Rover Defender Spectre Edition, the spectacular Tweaked Military Edition is a unique retro Defender with custom design and features that push boundaries. 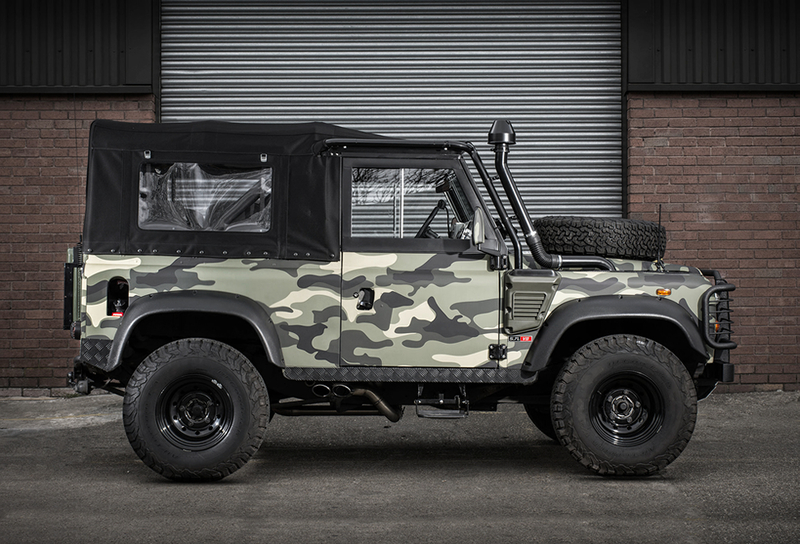 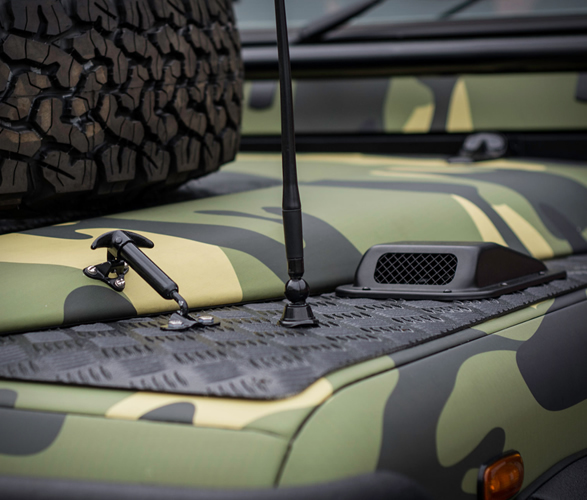 Available as either a soft top or hard top, and in a choice of 90 or 110, the Military Edition Defender is built entirely from the ground up, it features a push button start 2.2L diesel or 403bhp Chevy V8 engine, paired with a 4×4 drivetrain, camouflaged exterior, a billet dashboard, upgraded sports seats, and a wide track arch kit. 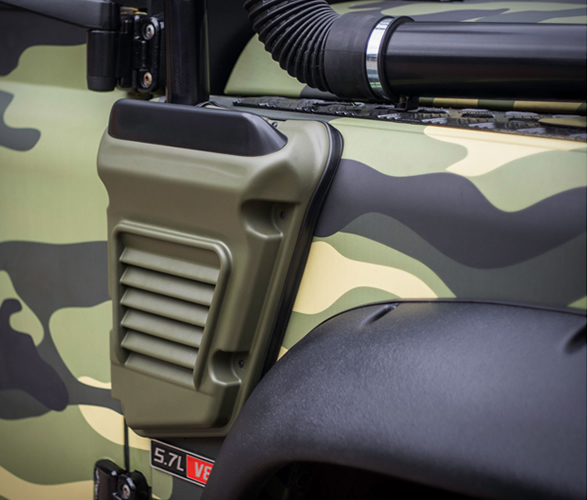 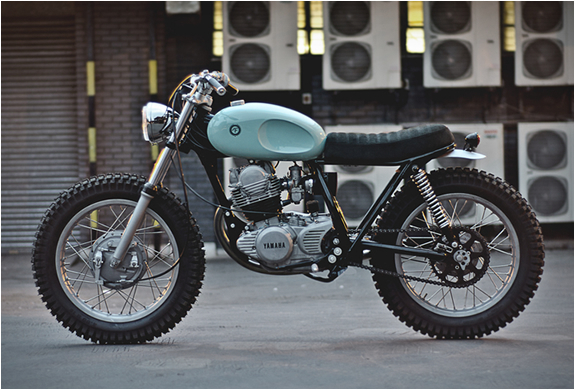 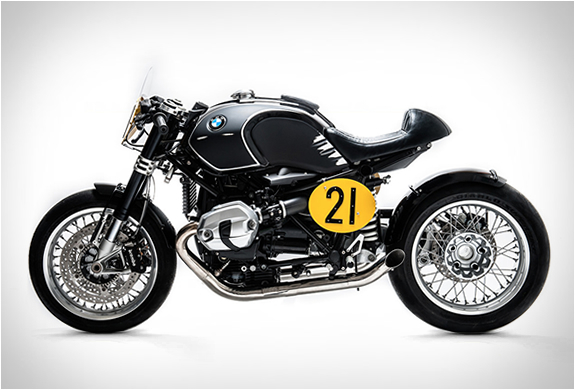 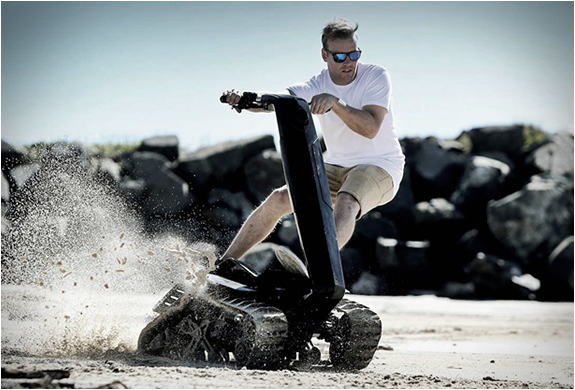 They also have plenty of aftermarket bespoke features available to choose from.